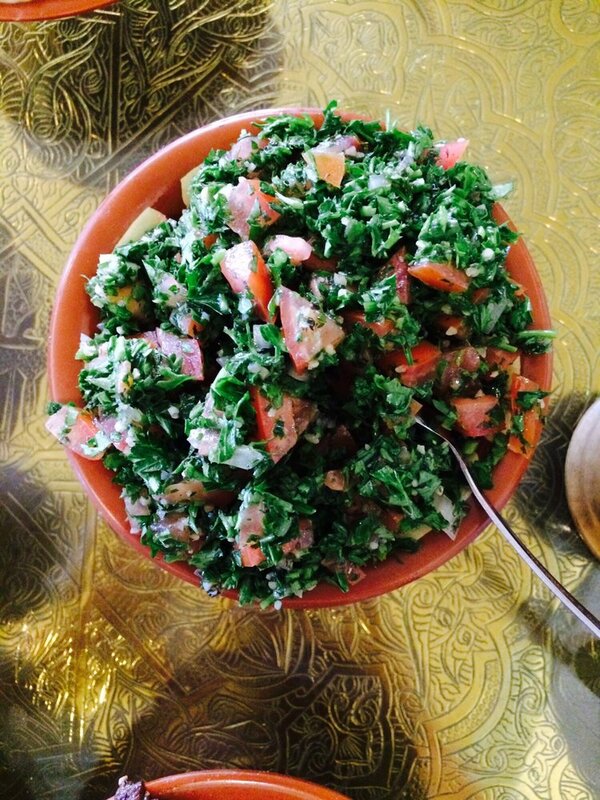 A Delicious Middle Eastern Blend of Garbanzo, Beans Tahini, Fresh Garlic, Lemon & Olive Oil. Gyros meat, onion and tomato. Topped with tzatzki and rolled in Pita. Marinated strips of chicken, grilled and served with basmati rice, hummus, garlic sauce, Lebanese salad and freshly baked pita bread. 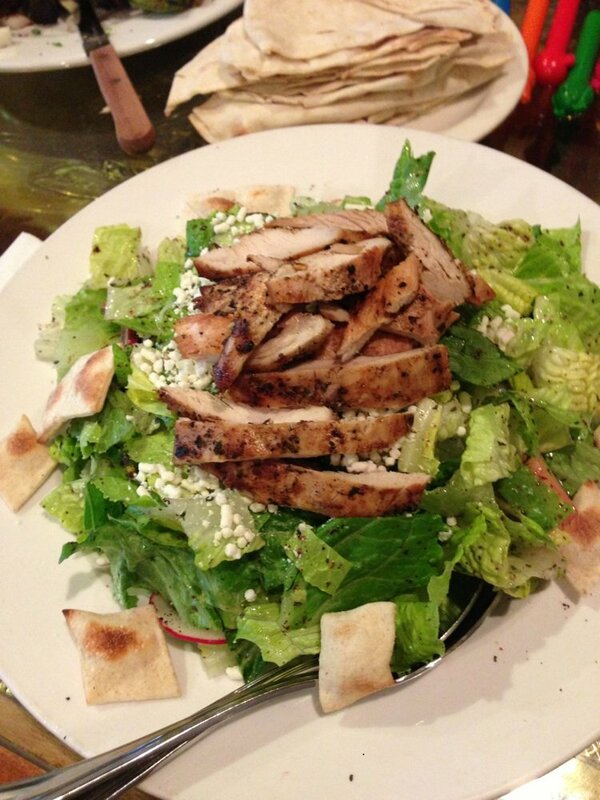 Hearts of Romaine, Persian Cucumber, Dried Mint, Roma Tomatoes, Radishes, Green Onions, Feta Cheese, Pita Bread Crouton. 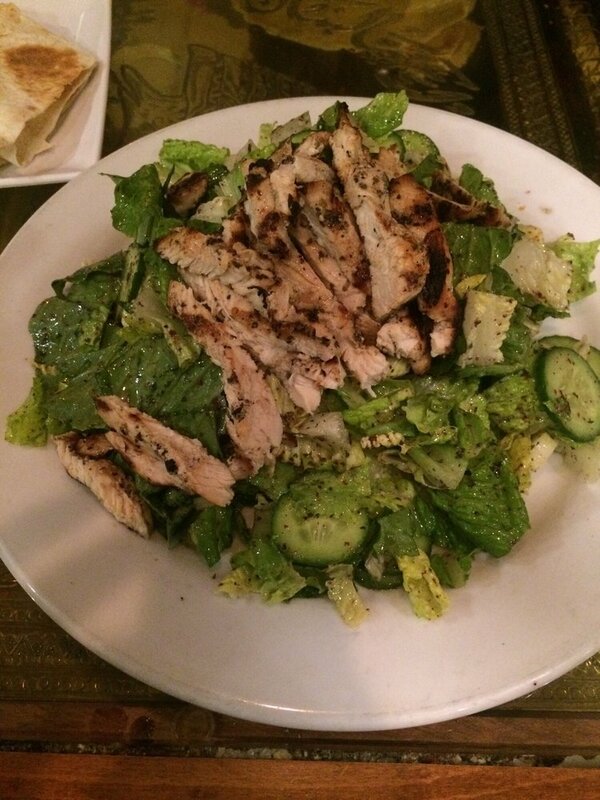 Topped with our Oregano-Garlic Flavored Chicken. Served with our Home-Made Lemon & Olive oil dressing. 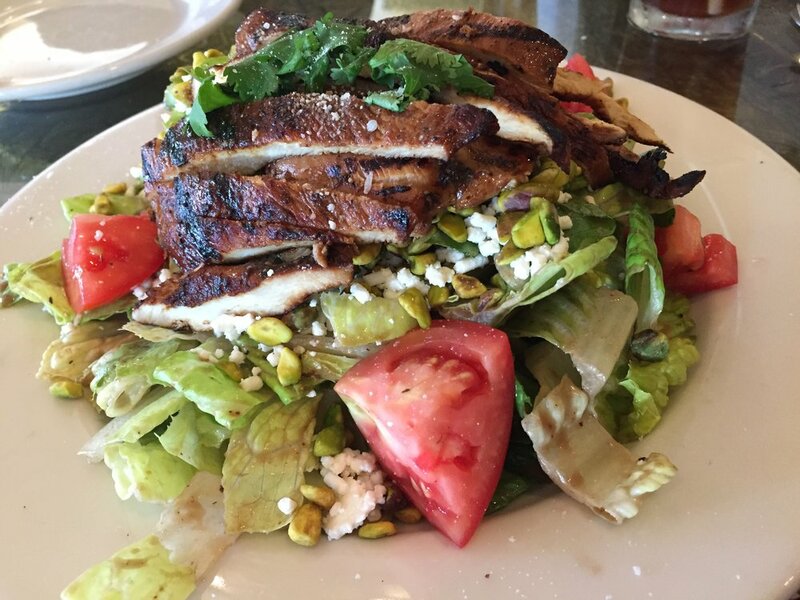 Hearts of Romaine Lettuce with Flame-Broiled Chicken Breast,Feta Cheese, Tomatoes, Pistachios & Fresh Cilantro in our Home-Made Balsamic Dressing. Two skewers of marinated chicken tenders, charbroiled on open fire to a perfection, served with basmati rice, hummus, tomatoes, garlic sauce, Lebanese salad and freshly baked pita bread. 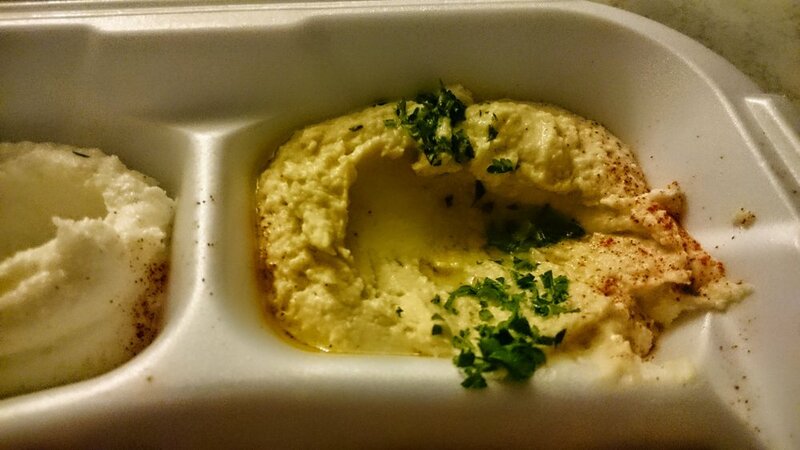 Our Large Size Hummus Topped with your Choice of Chicken or Lamb Shawerma & Nuts. A Vegetarian Delight of Seasoned Mixture of Crushed Garbanzo Beans, Parsley, Garlic, Onion & Spices. A Vegetarian Favorite. A Seasoned Mixture of Rice, Parsley, Chopped Onions & Tomatoes. Rolled in Grape Leaves. Steamed & Topped with Lemon Sauce. Delicious Layers of Toasted Pita, Eggplant, Herbed Ground Lamb in Homemade Yogurt Sauce & Roasted Nuts. 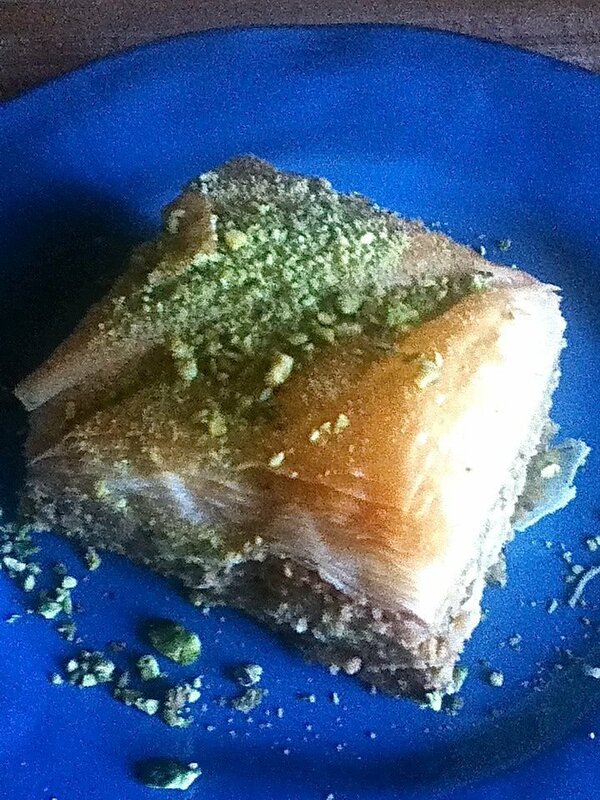 A Blend of Feta Cheese, and Halumi Cheese with Fresh Mint baked in our Wood-fired Oven. A Cream Kefir Cheese dip, topped with Olive Oil. A Seasoned Mixture of Spinach, Onions, Tomatoes, Sumac & Lemon Juice stuffed in our special Dough and baked in our stone oven. 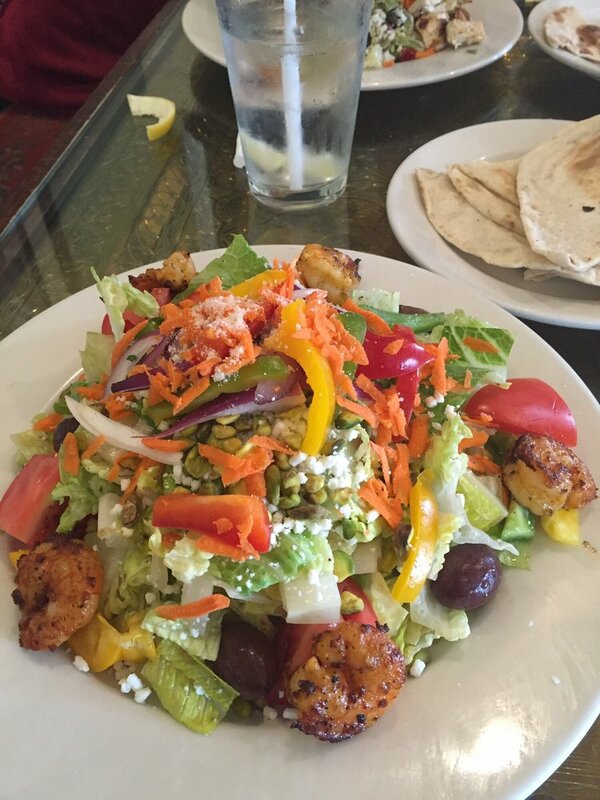 Hearts of Romaine Lettuce, 3 color Peppers, Tomatoes, Carrots Feta Cheese, Red Onion, Kalamata Olives Topped with Broiled Shrimp & Pistachios. Served with our Home-Made Passion Fruit dressing. 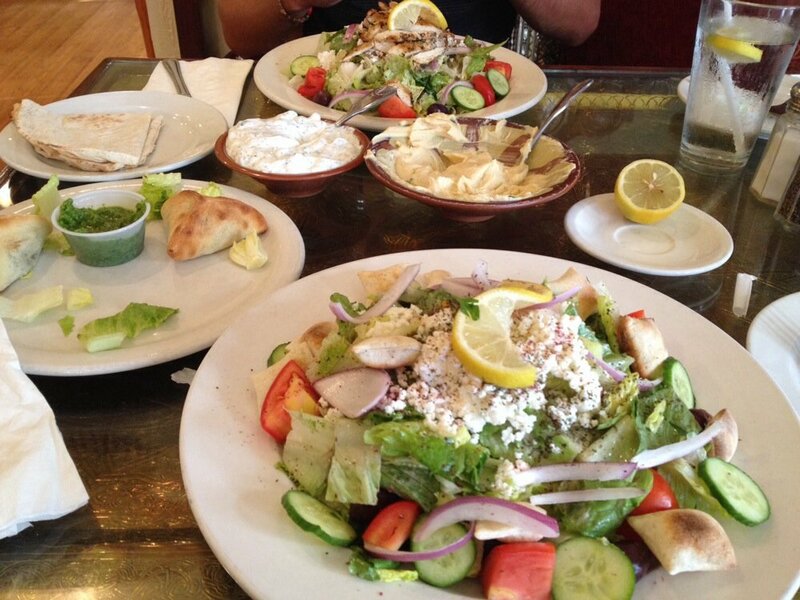 A Mediterranean Blend of Pita Bread Crouton, Tomatoes, Radishes, Romaine Lettuce, Onions & Cucumbers & Seasoned with 3 Herbs. Served with our Home-Made Lemon & Olive oil dressing. Mouth-Watering Marinated Strips of Beef & Lamb, Charbroiled on Open Fire. Topped with Tahini Sauce & Tomatoes, Rolled in Pita Bread. Charbroiled Strips of Chicken Breast, Marinated in a Tasty Garlic Lemon Saffron Sauce. Rolled in Pita with Garlic & Tomatoes. A Seasoned Blend of Ground Beef, Lamb, Parsley & Onions. Charbroiled & Topped with Hummus, tomatoes, shredded lettuce & pickles, Rolled in Pita Bread. 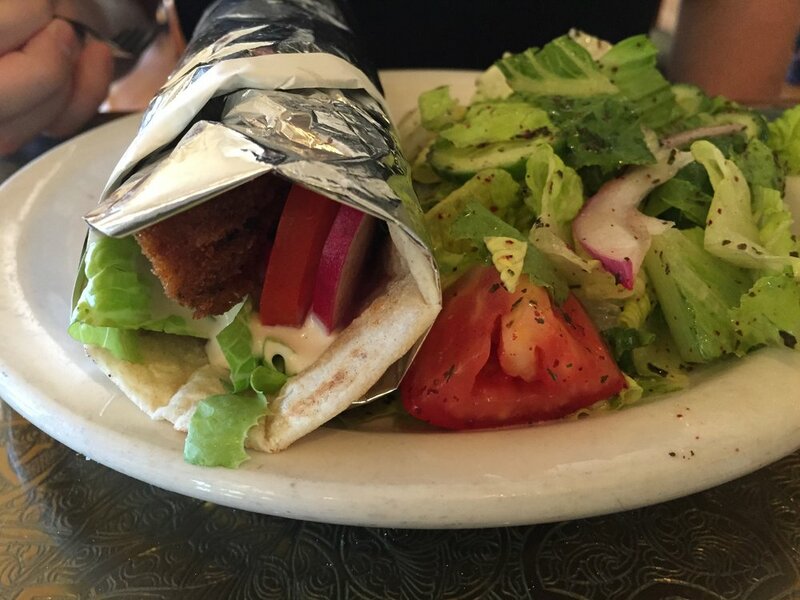 A Delicious Vegetarian Sandwich Rolled in Pita bread & topped with lettuce & tomatoes, pickles and Tahini Sauce. 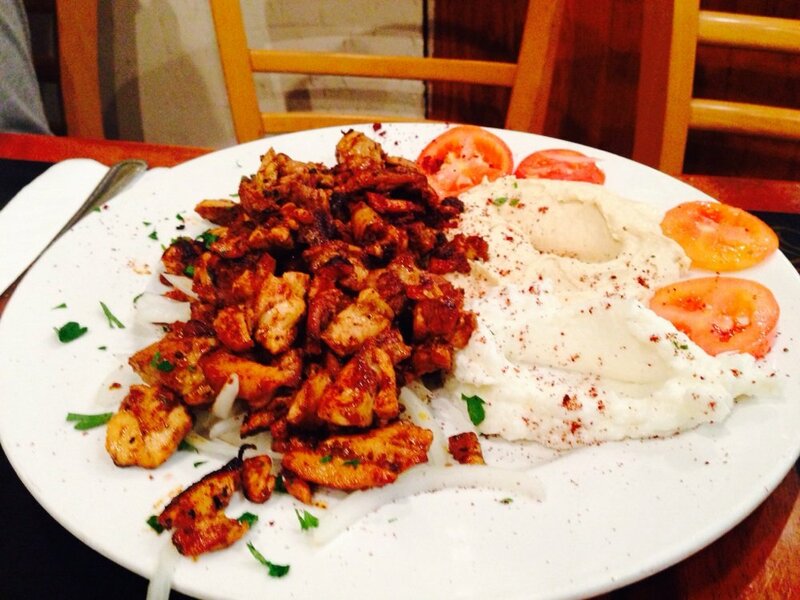 Our Tasty Broiled Chicken, Marinated in a Blend of Herbs. Topped with Garlic Sauce, Tomatoes. Rolled in Pita Bread. Feast on our one-of-a-kind gourmet pizzas-inspired by authentic Middle Eastern recipes, with the finest ingredients. Each pizza is wood-fired to perfection in our wood-fired oven. All pizzas topped with Mozzarella cheese. Seasoned with a blend of more than 12 herbs, Thyme, Sesame Seeds, Oregano & Extra Virgin Oil. Topped with Roma Tomatoes,Feta Cheese. Our Home-Made Baba Ghanouj, Lemon-Eggplant Puree, Topped with Assorted Grilled Fresh Vegetables, Roasted Peppers, Fresh Tomatoes, Mozzarella Cheese, Basil & Thyme. 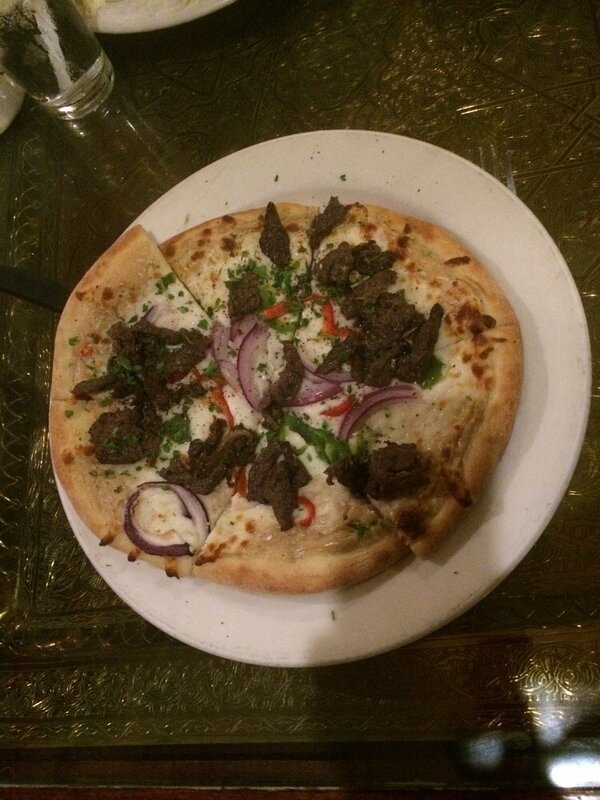 Delicious Marinated Pieces of Lamb, Herbed Onions, Three Color Peppers, Fresh Tomatoes with our Tahini Sauce. Spicy Barbecue Sauce, Marinated Chicken, Fresh Cilantro & Red Onions. 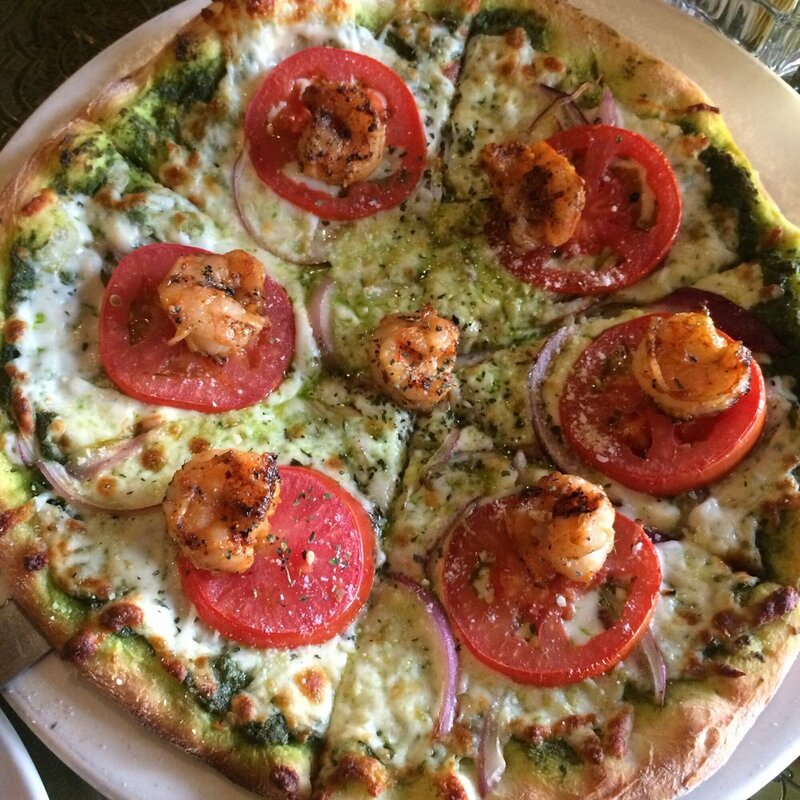 Fresh Basil Pesto Sauce, Marinated Shrimp, Roma & Sun-Dried Tomatoes, Red Onions. 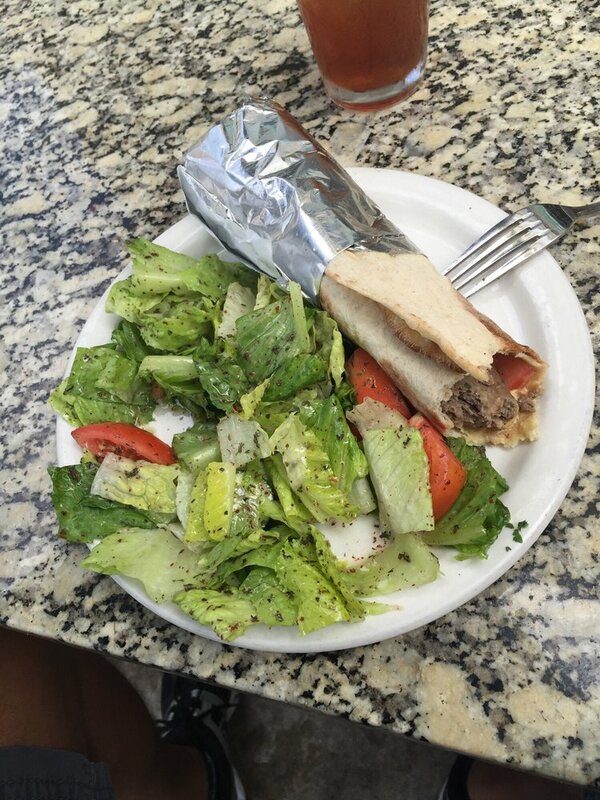 Marinated Strips of Chicken Shawerma, Herbed Onions, Fresh Tomatoes, Red Onions in our Home-Made Herbed Tomato Sauce. Beef Pepperoni, Home-Made Tomato Sauce. Cheese with Home-Made Tomato Sauce. Marinated strips of lamb and beef, grilled and served with basmati rice, hummus, tomatoes, tahini sauce, Lebanese salad and freshly baked pita bread. Two skewers of marinated cubes of fresh California lamb, charbroiled on open fire to a perfection, served with basmati rice, hummus, tomatoes, green pepper, onions, Lebanese salad and freshly baked pita bread. Three skewers of chicken , koufta and lamb tika served with basmati rice, garlic sauce, hummus, Lebanese salad and freshly baked pita bread. Two skewers of ground beef mixed with onions, parsley and seven spices served with basmati rice, hummus, tomatoes, lebanese salad and freshly baked pita bread. Hummus, Tabouleh, Baba Ghanouj, Chicken & Lamb Shawerma, Dolma, Falafels, Kebeh, Garlic Sauce, Pickles. Served with Pita Bread. Hummus, baba ghanouj, tabouleh, fattoush, dolma, falafel, pickles and tahini sauce served with freshly baked pita bread. French cut lamb chops, charbroiled to perfection, served with basmati rice, hummus, Lebanese salad and freshly baked pita bread. Delicious & moist with a lot of flavor, baked in our stone oven, served on a bed of arabiata salsa, with basmati rice, hummus & freshly baked pita bread. 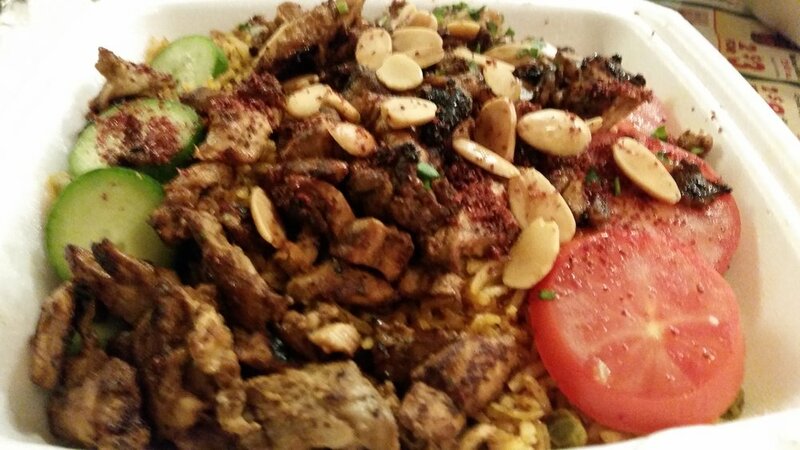 Combination of koufta, chicken, lamb kabobs and lamb chops. 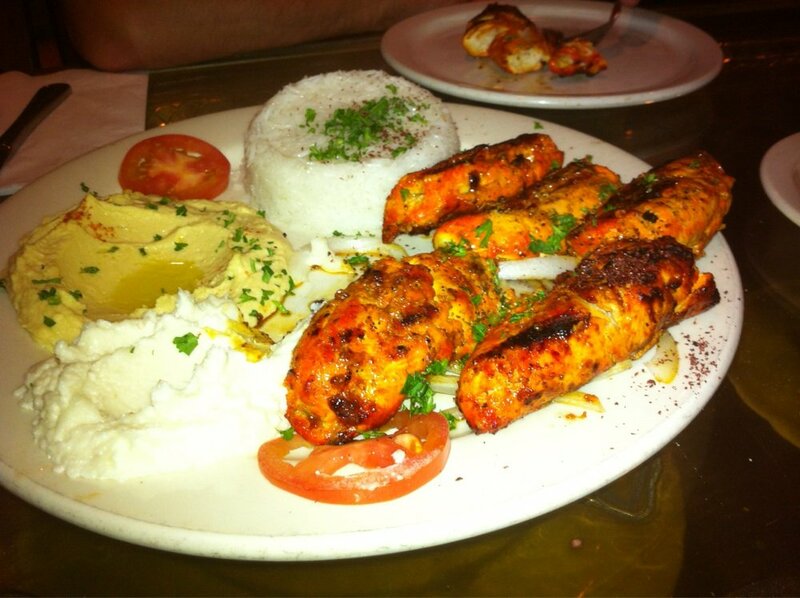 Two skewers of marinated shrimp, charbroiled on open fire to a perfection, served with basmati rice, hummus, tomatoes, garlic sauce, Lebanese salad and freshly baked pita bread. A delicious Middle Eastern blend of garbanzo beans, tahini, fresh garlic and lemon. A tasty blend of baked eggplant, tahini, fresh garlic and lemon . A delicious baby Okra cooked with fresh tomatoes, garlic, pomegranate and herbs. A delicious tender lamb shank cooked with a blend of Roma tomato sauce cooked cardamoms and herbs. A delicious blend of curry sauce and vegetables cooked slowly with lamb.